Thacker Mountain Radio is a live radio show featuring weekly author readings and a wide array of musical performances from the Square in Oxford, Mississippi. The free show is taped and broadcast every Thursday at 6:00 p.m. during the fall and spring and rebroadcast every Saturday night on Mississippi Public Radio. Thacker hosts an eclectic mix of local and national writers and musicians, performing before a live and loyal audience in Off Square books, an annex of Square Books, one of the great independent bookstores in the nation. Eric Gales is an American blues-rock guitarist, originally hailed as a child prodigy. As of 2019 Gales has recorded eighteen albums for major record labels and has done session and tribute work. 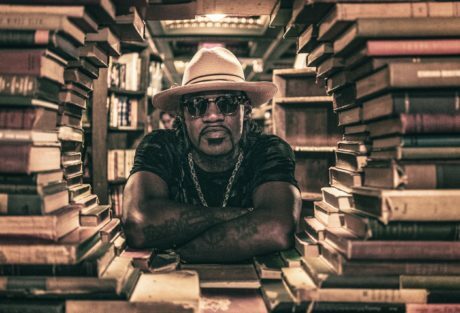 He has also contributed vocals on several records by the Memphis rap groups Prophet Posse and Three 6 Mafia under the name Lil E.
In 2017, Gales released his latest and fifteenth studio effort, Middle of the Road, featuring numerous artists, including Gary Clark Jr., Lauryn Hill and others, as well as his own brother and mother.The album became his first to chart on ‘Billboards Top Blues Album chart, peaking at No. 4. Kate Teague is originally from Mobile, Alabama and currently resides in Oxford. You might also be familiar with her work as director and producer of Thacker Mountain Radio Hour. She is a singer and songwriter that will make you close your eyes and sway along to her music. 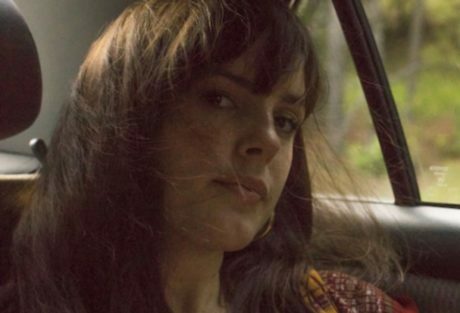 Teague’s song “Low Life” has strong Lana Del Ray vibes but is still distinctly her own. 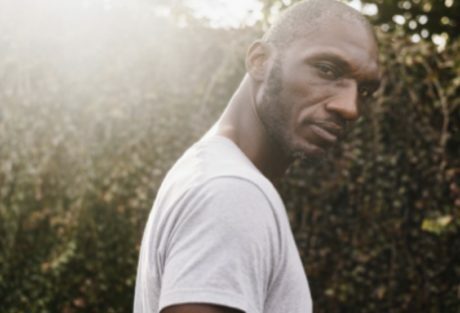 Cedric Burnside, native Mississippian, has music in his blood. He was raised by his grandfather that was a singer, songwriter and guitarist. His father, Calvin Jackson, played the drums. With 8 albums under his belt, Burnside has earned one Grammy nomination and the Blues Music Awards honor as Drummer of the Year four years in a row. Like many blues artists, he uses real life events and heartache to write music. He says, “the blues is about surviving through those hard times, telling the world what you’ve been through and how you came out of it.” Many of his songs cover a range of emotions he has experienced through life. Other successes worth noting include his collaboration and recordings with musicians Jimmy Buffett, Widespread Panic, North Mississippi Allstars and even Samuel L. Jackson in the movie Black Snake Moan. 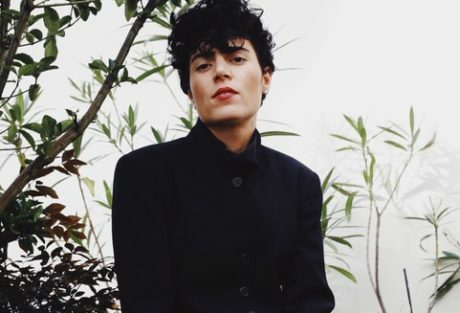 Emily King has been a professional musician for over 10 years. During those years, she released her debut LP and even earned herself a Grammy nomination for it. Her song “Distance” off her 2015 album The Switch racked up over 13 million streams across platforms. Even though she was finding success through world tours with artists and groups like Maroon 5, Sara Bareilles, John Legend and Alabama Shakes, it wasn’t fulfilling her and she worried about her inspiration for The Switch’s follow up music. When King finally learned how to drive, music from the likes of Tom Petty and Tina Turner took on a new sound to her ears. She realized their songs made for great driving music. This realization made her want to create music that would be great to listen to in the car. Taking notes from Tina Turner, she created music in the R & B genre with hints of rock. For this inspiration used on her 2019 album Scenery she needed a literal change of scenery. She took a leap and moved to upstate New York- a big change from her New York City hometown. Knowing of King’s anxiety of her next moves in music, her song “Look at Me Now” exemplifies how fresh air and a location change can do a lot of good. Though she left the city, she will be returning; her family still lives in New York City. Her latest album makes for perfect driving music- whether you’re road tripping back home or on your way to a change of scenery. 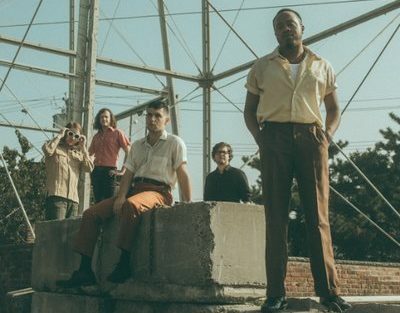 Durand Jones, Blake Rhein, Aaron Frazer, Kyle Haupt and Justin Hubler formed as students in college. When you listen to them, however, you’ll think you’re listening to soulful veterans of the music industry. Their music will make you forget its 2019- in the best way- with their early 70s sounds. Their first album, which is self-titled, debuted in 2016, and the group has been on a roll since. It is definitely something Jones did not see himself doing once he finished school, but the music gods have so far shown him otherwise. Songs like “Can’t Keep My Cool” are the definition of “easy listening” and just three songs in, you’ll want to keep their album on repeat. The group met at Indiana University and has since expanded and changed in its lineup. The Memphis band Lucero’s music has been described as “distinctly Memphis,” which is a hard description to come by these days. Their alternative rock, alternative country and blues rock genres are what make them uniquely Lucero. The group formed in 1998 and has gone through some changes but is currently made up by Ben Nichols, Roy Berry, John C. Stubblefield, Rick Steff and Brian Venable. 2018 was good to them. They released their 9th studio album, Jim Strickland- the mayor of Memphis declared a “Lucero Day” at the band’s annual “Lucero Family Block Party” and co-headlined a show at the Red Rocks. 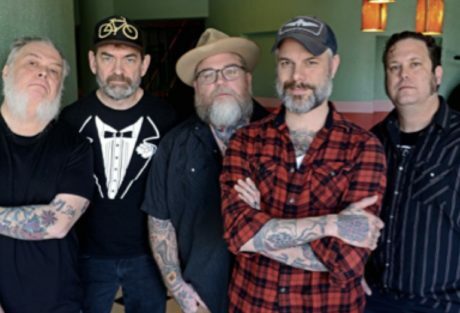 Over the last 20 years of their existence, Lucero has played around 200 shows a year. Their latest album Among the Ghosts gives a roundabout insight to their nonstop touring, fears, loss, happiness and mortality in the past, present and future. If 2018 was any indication, their 2019 is looking promising. 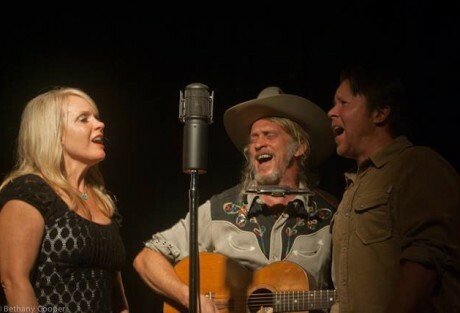 Michael Trent and Cary Ann Hearst have both dipped into the music industry as solo artists. Just a year after Trent released his solo album and 2 years after Hearst’s, the duo released their first album billed as Shovels and Rope (2008). The American folk duo married in 2009 and are on to their 7th album together titled By Blood coming out April 12 of this year. Listed as traditional folk, rock & roll and country rock, Shovels & Rope’s newer music gets personal. Their music takes their own hardship and life changes and puts them into song. 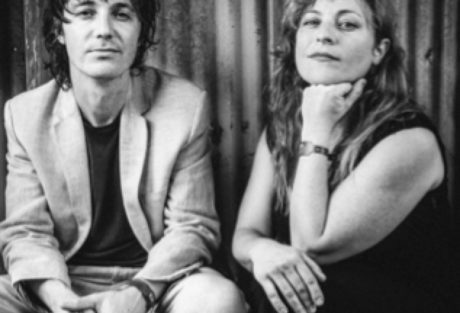 In 2013 Shovels and Rope was nominated for 3 awards by the Americana Music Association, 2 of which they won: Emerging Artist of the Year and Song of the Year for “Birmingham”. In 2015 they were again nominated for Duo/Group of the year without a win. Being from Charleston, South Carolina the duo even briefly appeared in the Charleston episode of CNN’s Anthony Bourdain: Parts Unknown. Instruments played by the couple include guitar, drums, keyboard, percussion and harmonica. Hailing from Green Hills, Alabama, Jason Isbell has spent a good few years of his music career as a solo artist. Cue the 400 Unit- Isbell’s band from Muscle Shoals, AL. Now on their 3rd album together with The Nashville Sound and touring with stops like The Ryman, Jason Isbell and the 400 Unit aren’t going anywhere. 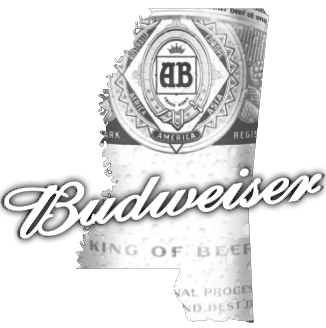 The latest 2017 album consists of 10 songs including a track titled “Tupelo”, a town just 55 miles east of Oxford. At first listen one might take it as a nice ode to the town, until the lyrics “there ain’t no one from here who will follow me there” come over the speaker. The Nashville Sound earned Isbell his first CMA Award nomination. 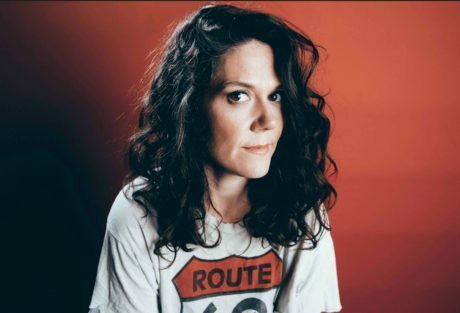 It was nominated for Album of the Year at the 2017 ceremony and won Best Americana Album at the 2018 Grammy Awards and International Album of the Year at the 2018 UK Americana Awards. “If We Were Vampires” contemplates life and death throughout the song and won a Grammy for Best American Roots Song. A lyric that may stand out is “maybe time running out is a gift”- a different take on mortal death. 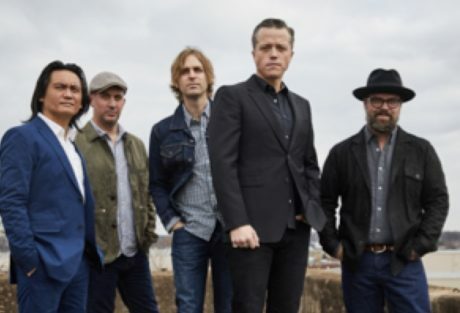 With Isbell’s lyrics of wisdom, heartache and humor and the band backing him, Jason Isbell and the 400 Unit are sure to strike you with fully relatable rhythms and song.